In daily life, we sometimes want to shoot some nice pictures for our favorite little things. 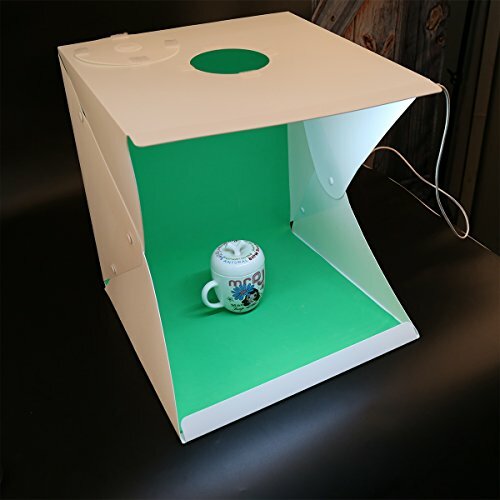 At this time,if you don't have some photography tools,you inevitably encounter some light and background problems, bring great impact to our good mood.If you use our studio, these problems will be well solved, this light box using non reflective material, so that the light evenly distributed, and the use of simple, even beginners can also take a good picture. 1.Traditional photography equipment It needs a lot of space, this is very unfriendly to photographers who want to take pictures at home.This photo light box designed specifically for the home, with a portable folding function,when you don't use it, just fold it up and not take up space. 5. Buying this photography props we will present 4 background cloth(red green black and white) to meet your needs in different shooting scene. If you have any questions about this product by YIGER, contact us by completing and submitting the form below. If you are looking for a specif part number, please include it with your message.